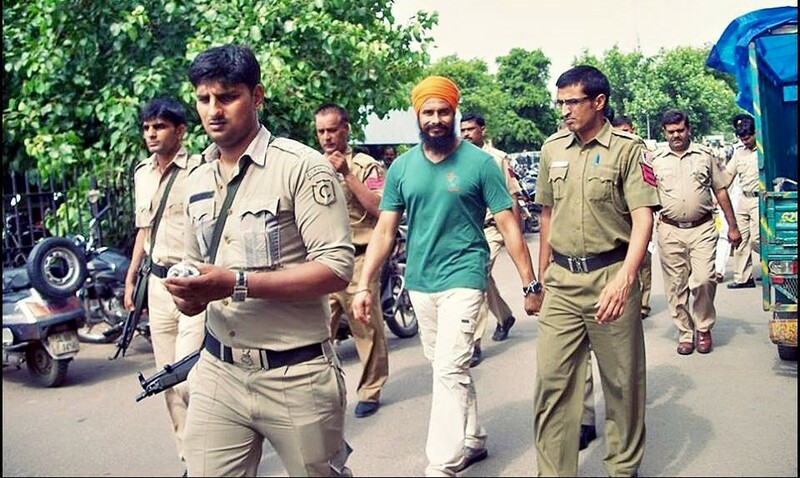 Political prisoner Jagtar Singh H@wara, a hero and role model for Sikhs around the world, is currently serving a life sentence for the assassination of ex Panjab Chief Minister Beant, under whose rule tens of thousands of innocent young Sikhs were tortured and killed during the 1980-90’s. In October 1988 during an arrest by Chamkaur Sahib Police, it was claimed Jagtar Singh was found to be carrying illegal arms and weapons. Therefore, a case was registered against him under the TADA Act – a draconian law which dispensed with the need for witnesses or evidence, but relied on police testimony alone. Today, the Roop Nagar Sessions court of Judge Sunita Kumar heard the case via video conferencing from Tihar Jail in Delhi, where Jagtar Singh is lodged. Due to a lack of police evidence the judge acquitted Jagtar Singh H@wara of all charges in this case. 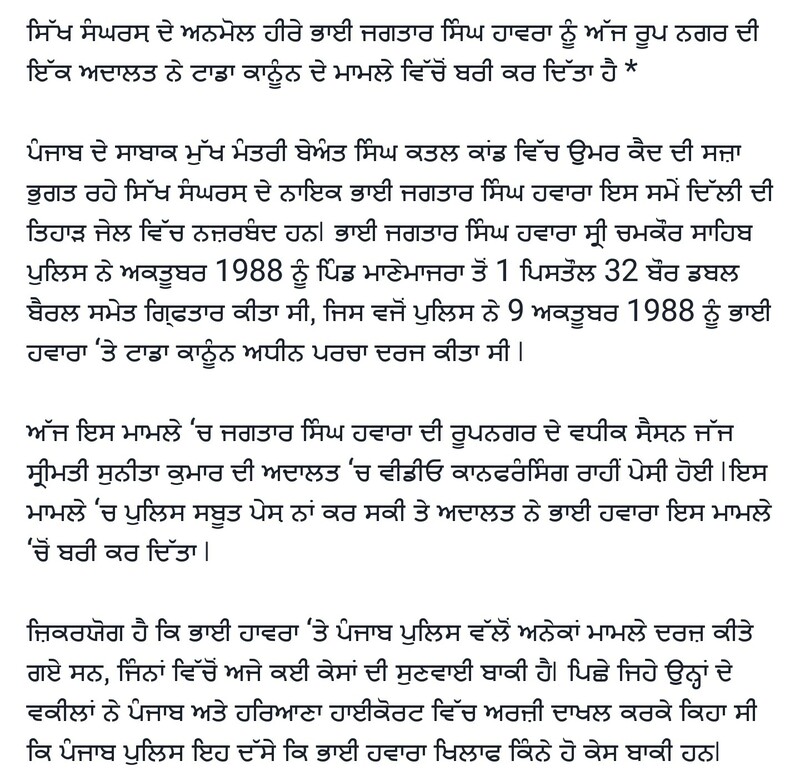 PLEASE NOTE: Panjab police lodged many, many false cases against Jagtar Singh when he was captured, some have not even come to trial yet despite him being behind bars for over two decades. Our legal team hired to represent Jagtar Singh, have previously lodged an appeal at the Panjab & Haryana High Court demanding the police to clarify exactly how many and which cases have been filed against him.